It’s a little-known fact that until the Meiji era (1868-1912), the ordinary men and women of Japan did not have surnames. Rather, those names were reserved for people in positions of power, nobility, or those of noted artistic ability. There are an estimated 100,000 family names in Japan — much more than in many Western countries, and vastly more than in neighbouring Korea and China — however what’s curious is that of these surnames 10 are incredibly common, with millions of people sharing the exact same moniker. If you’re on your way to Japan or learning the language, knowing how to read and pronounce at least a few of these will almost certainly get you out of a jam at some point or other, so allow us to introduce Japan’s 10 most common surnames, their meanings, and a few fun facts on top, just because we’re nice like that and we like your face. A period of great change in Japan, the Meiji era was one of tremendous social and cultural revolution. No longer an isolated island refusing to trade or communicate with the outside world, Japan’s new leaders propelled their country into the modern world, striving to compete with foreign visitors and rival Western inventions and thinking. With this new way of thinking came a shakeup of established social systems, and all commoners were required by law to choose and register a family name for themselves. Many chose names that were already in use, hoping to gain a little extra credibility by sharing a name with those belonging to houses of nobility. Others adopted names reflecting their trade, role in society or simply the region they were from. It’s clear, though, that there were a number of favourites! Meaning: The first kanji, sai 斉, can be used to refer to a meal taken by monks and priests, but in broader terms it conveys an image of purity and divine worship. The second character, tō 藤 (pronounced with a long ‘oh’) can also be read as “fuji”, and means wisteria. The inclusion of this character suggests possible historical connections with the Fujiwara clan, and is found in a large number of Japanese family names, though how many of said families had genuine attachments to the group is debatable. You may have heard of: Yuki Saitō, the Yokohama-born actress, essayist, author, devout Mormon and star of numerous movies and a bevy of Japanese TV dramas. Meaning: “Small forest”, using the kanji small 小 and woods/forest 林 (pronounced ‘hayashi’ on its own), the name may refer to the region its owner was from. Meaning: Literally ‘inside’ or ‘middle’ (naka 中), followed by village (mura 村). A person from the middle village, perhaps? 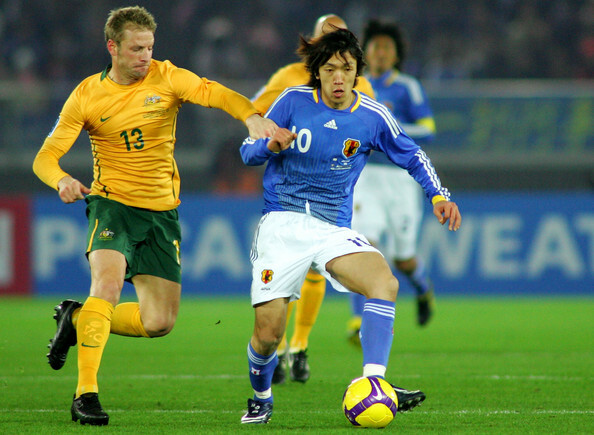 You may have heard of: Professional footballer Shunsuke Nakamura, who was the first Asian player to score a goal in the UEFA Champions League. Meaning: Composed of the characters mountain (yama 山) and base/origin (moto 本), this name is second only to Yamada (山田) for being nice, easy kanji to write, saving elementary school kids blessed with the name the hassle of learning kanji characters that they otherwise wouldn’t meet for years. Meaning: The first kanji character, 伊 is also used to denote Italy, but historically speaking 伊 literally means ‘this’ or ‘that one’. Coupled with the aforementioned kanji for wisteria, 藤, we might again suggest that the name suggests links to the Fujiwara clan, however tenuous. The name is both written and pronounced differently to ito 糸 (which has a short ‘o’ sound, and means ‘thread’), so be sure to clearly pronounce that long “oh” at the end. You may have heard of: Actor and anime voice actor Atsushi Itō, who played the nerdy male lead in popular TV drama Densha Otoko. Or perhaps you spotted 28-year-old Hanae Itō competing as a backstroke swimmer in the London 2012 Olympic Games? Meaning: To cross or pass over 渡, and “area” or “border” 辺. You may have heard of: Ken Watanabe, the go-to guy recently for seemingly every major role that calls for a Japanese actor. Watanabe has appeared in dozens of Western films including Letters from Iwo Jima, Batman Begins, and Inception. Look out for him in the US reboot movie Godzilla too. Meaning: Literally “rice field” 田 and “middle/in” 中, the name most likely comes from those who owned or worked the “middle field” in any given town or village, and has stuck around ever since. Another nice, easy name to write, Jin Tanaka is also a popular placeholder name for used for things like credit card ads or shady people checking into hotels where Westerners would scrawl John Smith or Jane Doe. You may have heard of: Tomoyuki Tanaka, the movie producer who brought us none other than the original (and best?) Godzilla. Meaning: “Tall/high” 高 and “bridge” 橋 suggests that perhaps the families who originally chose this name lived in an area beyond a deep valley crossed by long bridge. There again maybe they were going for something a little more symbolic rather than literal? You may have heard of: the now extremely wealthy creator of such works as Inu Yasha and Ranma ½, Rumiko Takahashi. Meaning: “Bell tree”. Suzu/rin 鈴 is a small round bell, the kind of which you might put on a cat’s collar. Why they’re being tied to trees 木 though, we’re not sure. You may have heard of: New York Yankees’ outfielder Ichiro Suzuki. 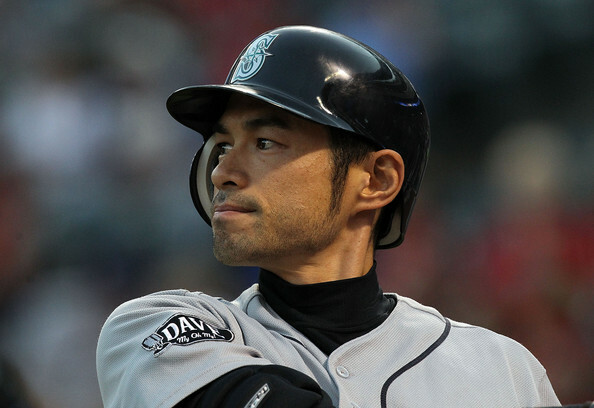 Despite moving to the US back in 2001 to play for the Seattle Mariners and currently residing in Washington, Ichiro remains something of a national treasure here in Japan, loved by aspiring baseball players, young kids in need of clean-cut heroes and pretty much every Japanese woman we’ve asked. Meaning: Alongside the ever-popular “tō” 藤, we find sa 佐, meaning “to assist”. Do todays Satōs descend from those with close ties to the once great clan, or did they just love the way it sounded and the image it conveyed? We may never know. You may have heard of: Come on, was there ever any doubt that our own Mr. Sato should be associated with the top spot!? Proof if it were needed that our reporter extraordinaire really is the man. There you have it, folks, the 10 most common Japanese family names. There may be a heck of a lot of others names out there, but with these 10 under your belt chances are you’ll already be familiar with a fair chunk of the Japanese population! *Figures are approximate and, of course, vary slightly from year to year. Surrounding areas of Sakurajima doused in volcanic ash, so they’re hoping you’ll buy some! Hai! Douzo!